Holdfast Dog Centre Fun Day South Australia | English Cocker Spaniels Australia Inc.
ECSA is helping the wonderful Holdfast Dog Centre celebrate their 15th birthday!! If you’re in Adelaide on Sunday 25th September, come along and say hi! We’d love to see you there. We’ll have a stall and there’ll be info, tips and tricks and Cockers to cuddle! 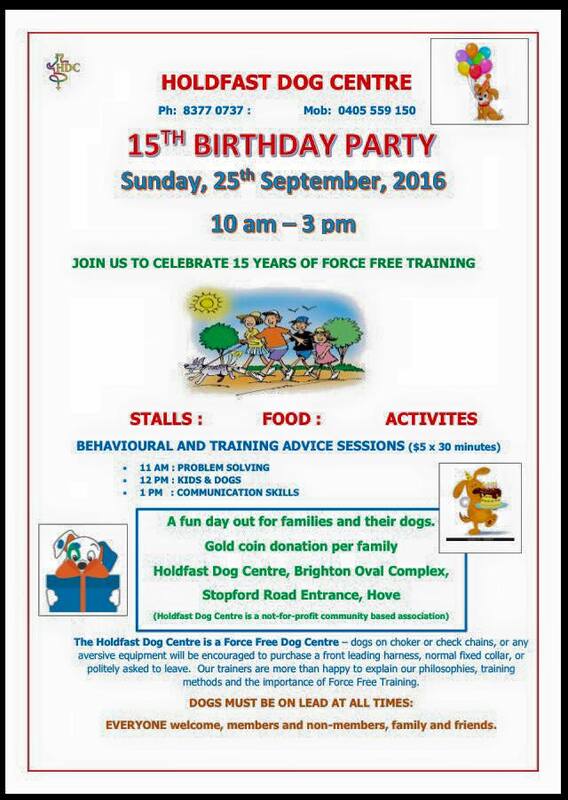 Head on down to Stopford Road, Hove SA between 10am and 3pm for a great day out!